In feng shui, you can use essential oils for good luck! This includes finding specific feng shui essential oils for luck and money. An essential oil is the pure essence of a plant -- its life force, its chi -- extracted and distilled into an aromatic concentrate distinguished by fragrance. Applying essential oils to a feng shui treatment of your environment is a shortcut to enhancing -- and enticing -- positive chi and good luck. Use your favorite scents anywhere, but you should consider the plant/oil's characteristics, too, such as those described in The Illustrated Encyclopedia of Essential Oils. Maximize their impact and luck by focusing specific essences in compatible areas of the bagua, the feng shui energy map. Boost fame and reputation with peppermint for mental stimulation, attracting wealth and rewards, and improved communications. Use juniper for magnetizing honor and glory. 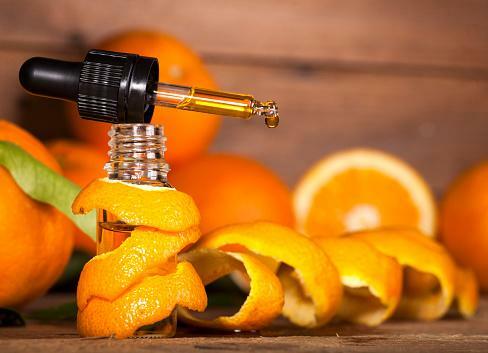 The travel and helpful people area of your home is the place for soothing, clearing and energizing essential oils such as lavender, pine, and lemon -- all citrus scents, including grapefruit, orange and tangerine, activate travel chi and luck associated with it. Augment knowledge (and self-knowledge) when you infuse that bagua area with rosemary to invigorate the intellect and improve memory and concentration. Try using lavender for stronger intuition and courage. Spearmint -- a gentler version of peppermint -- is for mental stimulation. Frankincense can instill positivity and a powerful belief in the self. Enhance your creativity and children area with the relaxing scent of lavender to banish stress and unleash the imagination. Gardenia adds a note of sweetness and protection, and encourages harmony; sandalwood lifts spirits and fights depression. Patchouli is very grounding and soothing and optimizes happiness. Use the oils in a variety of ways; each has its own advantage. The simplest way to release a beneficial scent into an area of your home is with an ultrasonic diffuser. Fill the container with clean pure water, add the oil -- typically about 8 to 10 drops -- plug in, and turn on the machine and the rest is automatic. A tea-candle diffuser uses no electricity, but if the water evaporates due to inattention, the oil residue turns into a sticky mess. Oil reed diffusers are jars with rattan reeds that hold essential oil in a solution -- usually an oil like almond -- with a splash of alcohol. The liquid travels up the reed and releases to the air. A small jar takes about 25 to 30 drops of oil so experiment to see how effective the scent is and how quickly the system uses essential oil. Candles made with oils also release the scents. But you get the smoke as well -- and it's best to have pure beeswax or soy candles infused with pure essential oils. This could get expensive and isn't terrible efficient. Don't use candles made with synthetic fragrances. Misting the air in an area is a quick solution, simple to implement. The scent won't last very long but you can add essential oil (a few drops) to a water-filled spray bottle and mist away. Add more oil if the scent is too faint. Add a few drops of essential oil to your bath to immerse yourself in a mist of scent and disperse the fragrance in the bathroom. Dabbing is another option, but be careful not to stain something irreplaceable with the oils. "Anoint" a smooth stone, an altar statue, or a crystal by dabbing on oil with your finger. Pat a drop or two of oil on a silk cloth to drape over a lampshade. The cloth should never touch the bulb, but it will release some fragrance when the lamp is turned on. Without heat to release the scent, or a medium to diffuse the oil into the air, a dabbed fragrance will be very light. This is not as effective as a diffuser. Apply a therapeutic grade, pure essential oil to your wrists like a perfume. Combine the oil with a mild carrier, like coconut oil or grapeseed oil, before applying it to your body. (Try about 3 drops of oil per teaspoon of carrier.) Your skin will absorb the oil so you should test a tiny bit on your forearm for any reaction or sensitivity before you dab it on your wrists, temple or throat. Don't put pure essential oils on your skin or you could cause a reaction. 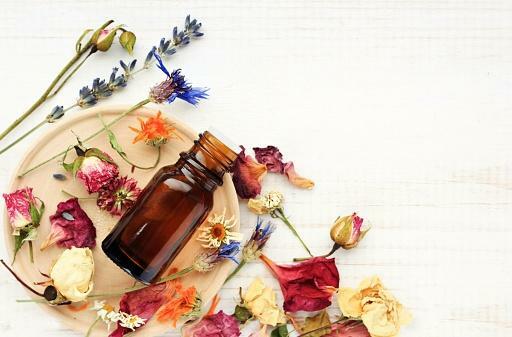 A fragrant collection of chemicals that passes itself off as an essential oil may contain none of the benefits of the real deal. It could even be harmful. Look for 100 percent pure, no synthetic additives or diluents, natural oils made from organic sources by reputable providers. "Nature identical" oils are synthetics -- cheaper than the typically pricy real essences but offering only aroma, not essence. Plan to pay more for therapeutic quality genuine essential oils. Artisan Aromatics is one online seller. Plant Therapy sells certified organic and kid safe oils. Essential oils can also pose some serious dangers so respect their potency as well as their possibilities. Don't ingest essential oils without guidance from a medical professional. They are immensely powerful and some can be poisonous when taken internally. Lock up your oils where children and pets can't get at them. Be cautious about applying the oils to your skin; never apply oils directly without a carrier and check with your health professional before using them topically. 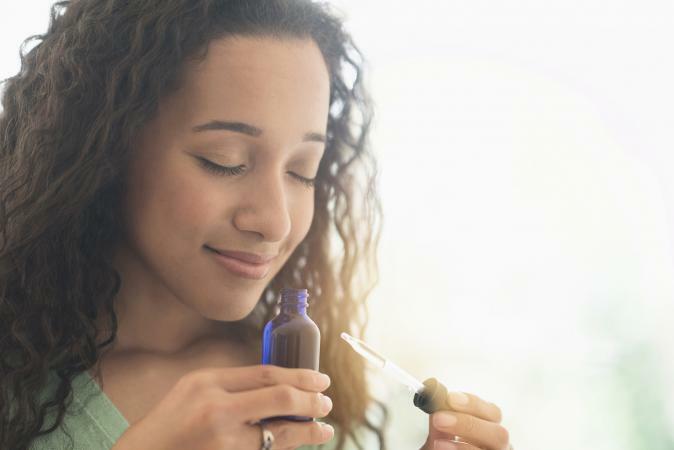 Pregnancy and some medical conditions mean at least some oils are likely to be off-limits, even when they are just diffused. Essential oils are a distilled, compressed life force that should be handled with care and caution. Essential oils have been part of traditional healing therapies for almost 6,000 years. Plant essences are calming, invigorating, grounding, relaxing, inspiring, pleasing, and cleansing. All these qualities align with the goals of feng shui -- to balance the energy in the environment and create conditions for positive chi, personal growth, prosperity, robust health and spiritual progress. Essential oils may be used to amplify and amend the flow of chi in your personal and public spaces and invite a potent dose of good luck into your life.